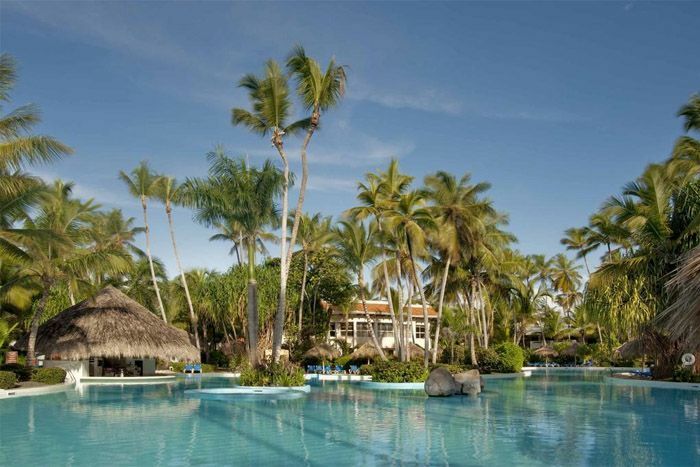 Located on a pristine beach in the heart of the Caribbean, this elegant adults-only resort on Bavaro Beach will captivate you with its picturesque surroundings, exceptional cuisine and endless activities. The resort features four swimming pools, YHI Spa, health club, nine bars, five restaurants and more. Luxurious guest rooms and suites are decorated in a modern tropical style and offer views of the garden and sea. Bonus: Deluxe. Adults Only. All-Inclusive includes all meals, drinks, activities and more. Exclusive $100 Off per booking.